Going out of your mind, with natural psychedelics? The products in this category ensure a great trip. Besides DMT-containing plants, Salvia and Peyote Cacti, you will also find the famous Magic Truffles right here. 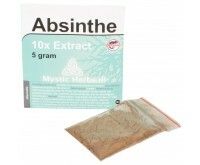 Keep in mind that all products in this trip category induce serious psychedelic effects! All products are delivered discreetly. From the outside, you cannot see what's inside. Tripping on natural psychedelics. Here you will find psychoactive plants and mushrooms from all over the world; from Magic Truffles to Ayahuasca. This category of tripping agents provides you with all resources for an unforgettable trip through your consciousness. Many shamans would be envious of our natural medicine offer. Tough the precise working of the trip products varies, they share one characteristic. The conscious expanding agents will let you experience a different reality. Hallucinations, visions and meeting with strange beings are not ruled out! The delicious natural products in this category are all legally available. But that's no reason to doubt the effect of these herbs, truffles and capsules! The wide range of natural products in this category should all be taken very seriously. You are standing on the launching pad for an inner journey. Tripping refers to an inner journey under the influence of an herb, mushroom or synthetic agent such as LSD. During the start of such a journey you often feel strongly connected to your environment, or you burst into an uncontrollable laughter. You lose your sense of identity, you can merge emotionally with the couch, or even the entire universe. Sometimes you can have the feeling of being an object. Wait, the experience can get even crazier. Time seems to slow down, and you can experience being in several places at the same time. An out-of-body experience and seeing strange beings is also possible. The quality and duration of a trip varies per agent, dose, set and setting. By far the most important aspects for a trip are its set and setting. Always go for the lightest dose. It says 5-10 grams on the package? Then go for 5 grams. You can always take more next time. Only take in smart drugs if you feel comfortable and you feel like it. Then you can have really fun trip. Carefully read the product text on our website and also the instructions on the packaging, for proper use. Never drink alcohol before or during a trip. Don't be afraid. Let the smart drugs do their work, and allow yourself to be carried away. If you are afraid of losing control, better sniff around in the relax category. Setting: Where will you trip? With setting, you should think of the scenery of a play. You largely determine the content of a trip through your environment. A quiet, safe and familiar environment is the best. Ambient noise (or music), light (daylight or candlelight) and comfort (sitting on the sand or hanging in a Lazy Boy), all contribute to the trip. Nature is the best as environment, because psychedelics will cause all kinds of patterns to light up and also increase the intensity of colors. Turn off electronics as much as possible. Certainly no phone during the trip! Make sure you have a trip sitter with you. That is someone assisting you if the experience gets annoying, but he or she will also accompany you with earthly issues such as sufficient drinking and toilet use. How Long Does a Trip Take? And When does it start? The best-known, natural smart drugs are Magic Mushrooms. Magic Truffles are the legal alternative to Magic Mushrooms. The subterranean truffles contain, just like the above-ground mushrooms, the substances Psilocybin and Psilocin, which fit like a key in the brain's serotonin receptors. This affects your mood and perspective during 3 to 8 hours. Yet, from your point of view, the magic mushroom trip will appear to last much longer. Psilocybin is also a hallucinogen that gives a new perspective to the world. Your body seems to blend with the environment and everything feels interconnected.